Premises Liability is a legal term referring to injuries incurred on another person’s property due to unsafe conditions and neglect. 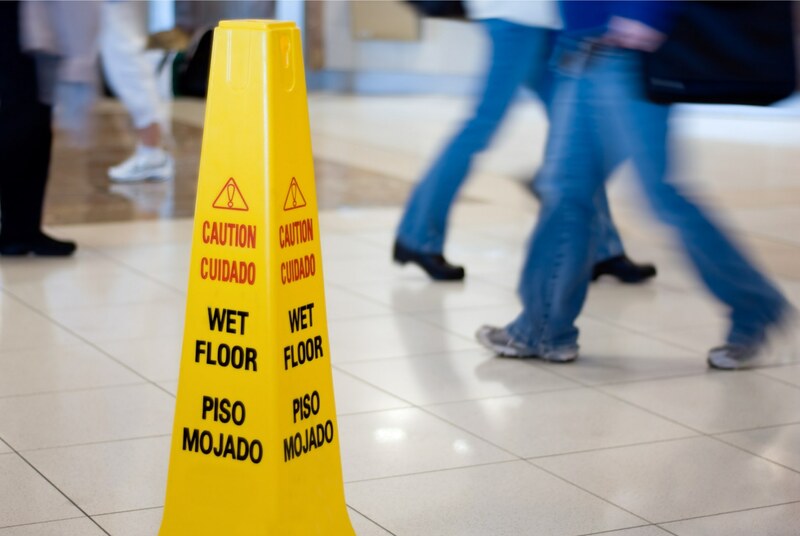 Two common types of premises liability cases are slip and fall accidents and dog bites. Other types of premises liability cases include; swimming pool accidents, fires, explosions, roof cave-ins, inadequate lighting, inadequate security, assault and amusement park accidents. Any residential property, commercial building or open space can be the place of a premise liability accident including; offices, sports facilities, private homes, patient care facilities, nursing homes and treatment centers. If you have been injured due to negligent property maintenance or upkeep, call a skilled Delaware Slip and Fall Lawyer. The Freibott Law Firm handles all types of personal injury cases including premises liability claims. Mr. Freibott, can be contacted at (302) 633-9000. In Delaware, premises liability law dictates that a property owner has a responsibility to ensure his or her property cannot pose a hazardous or dangerous condition to others. If the property owner is negligent in the responsibility of his property, he may be held liable for any accidents that may take place on their property. It is important in a premises liability case to establish the liable parties. In some cases, more than one party may be liable for the dangerous condition of a property and that can often lead to third party or vicarious liability lawsuit. There are cases, in Delaware slip and fall accidents, where the injuries sustained by victims are broken bones, contusions or bruising, lacerations or cuts and muscle sprains. If the force of trauma is great enough, a person may die, which is more common in cases of falling from high places, construction accidents and roofing accidents. Too often, in accident cases, victims do not seek proper medical attention. Not getting the proper care after a slip and fall accident may jeopardize your claim and ability to seek benefits you deserve, as well, there may be a danger to the victim’s health. Health issues sometimes manifest themselves over time. Injuries sustained in a personal injury accident may not show for months. Even if you have suffered what you believe to be a minor injury, seek proper medical attention. Even the most minor of incidents can sometimes turn out to be the catalyst for something bigger. A seemingly minor slip and fall accident can cause severe injuries to a person because of a natural reaction to attempt to brace the body for impact. Upon impact the victim can sustain serious trauma impacting the bones, joints, muscles, ligaments, and even the nervous system. Ultimately, this trauma can cause misalignment to your spine. Spinal cord injuries are very serious. A small trauma to the spine can impact the nervous system. This can result in pinched nerves, herniated discs, neck and back pain. Slip and fall accidents may also result in long-term damage such as Complex Regional Pain Syndrome (CRPS). This is one of many reasons why you need to get examined by a healthcare professional at an emergency room, urgent care center or by your primary care provider. Opting not to do so can jeopardize your ability to obtain benefits and financial compensation for your injuries, pain and suffering. The Wilmington, Delaware personal injury lawyers at The Freibott Law Firm will do everything to help you obtain the medical attention you need. The terms “negligence”, “comparative negligence” and “duty to inspect” are legal terms regarding the determination of liability. Just because a person owns or inhabits a property does not necessarily place the onus of liability for an accident on the owner. Negligence requires proof of awareness that there exists an unsafe condition and the disregard of their responsibility to correct any dangerous conditions of the property to be found at fault. “Comparative negligence”, on the other hand, deals with a situation when both visitor and owner/occupier of a property are found to be at fault. This can happen since we are expected to conduct ourselves properly on someone else’s property, even if a hazardous condition exists. In these cases, the percentage of a victim’s fault is “compared” to the defendant’s fault to determine the victim’s actual percentage of damages that can be recovered. Finally, “duty to inspect” is a term referring to the obligation an owner or tenant has to inspect their property on a routine basis for dangerous conditions. Upon discovery of any unsafe conditions, a property owner has a responsibility or duty to take care of the unsafe condition. Failure to conduct routine inspections of a property and the subsequent injuries that are incurred by a visitor can result in the owner being vulnerable to a premises liability lawsuit.